amazing poem, but I find the picture distracting. I think, it would be better with pic of a girl watching the moon or in fact no picture at all. Thanks Vijay, thats an honest comment.. The picture indicates a girl being surrounded by the afterglow of the one she loved (loves). If she's watching the moon its just light and hope. 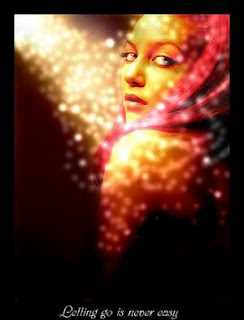 I wanted to show a girl being surrounded by the aura of love, even after its gone.. Hope its a bit clear now. My favorite song for a long long time now!